Not interested in Noblesville ? Please choose a different community. 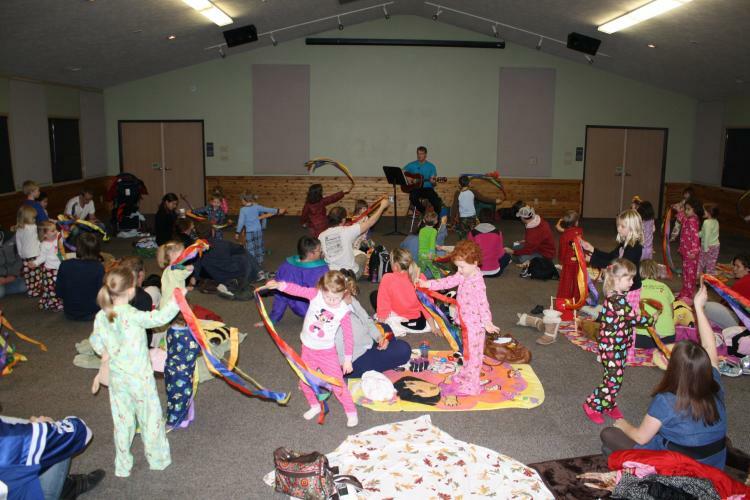 Put on your cutest pair of pajamas, grab your favorite teddy bear, pack up an old blanket, and join us for Pajama-Rama! Families looking for a fun program to enjoy with their toddlers and preschoolers will love the music educator from Moriah Music, who will lead us in songs and stories about some of our favorite animals. Would you like to add your event at TownPlanner.com? Town Planner is a community-minded organization. We're all about keeping things local and promoting hometown pride! That's why we're glad to offer you this medium to inform the public about your event. Post it today and it will appear on our website, our newsletter, and our mobile app. As a general rule, we welcome the submission of events from charities, non-profit organizations, and municipal or community organizations such as mayor's offices, churches, schools, and the like. To get started, simply create an account. It's free and easy and you'll be able to start posting events as soon as you receive your authorization email. If you're a business owner or you wish to promote a for-profit event, your event may be subject to the policies of your local Town Planner publisher. Some publishers may charge a nominal fee for such events, or reject them if they compete with other events from paying sponsors. To learn more about your local publisher's policies, or to inquire about adding a coupon or display ad for your business, please use our contact form. Please keep in mind that Town Planner is a family-friendly publication and we reserve the right to reject any event that is deemed offensive, obscene, or otherwise inappropriate for inclusion on our site. Remember that we're not just online! If you do business in an area with a local Town Planner publisher, our beautiful full color wall calendar is delivered free each December to thousands of homes in your community. Most people who receive the calendar hang it up in a prominent place and keep it all year long, making sure your business is On Display Every Day! We're looking to bring the Town Planner to even more communities across America. If you or someone you know have an entrepreneurial spirit and would like to promote local businesses and build hometown pride while achieving financial security for yourself, why not look into becoming a Town Planner publisher? Town Planner - Quickly Becoming America's Calendar! Shown here is our icon in stand-alone format. You may see us use this identifier on social media applications. To see why so many homeowners love the Town Planner, and why it has such a high retention rate as an advertising tool, please view some of our sample calendars. If you do not receive the Town Planner in your community, you may be looking at a great business opportunity! Set your own hours, be your own boss, and achieve financial success as the owner of a Town Planner franchise. Sign up for our weekly email newsletter loaded with local events and coupons! Copyright © 2014-2019 Town Planner. The Town Planner serves American hometowns from coast to coast! Please tell us your community and we'll give you local content.